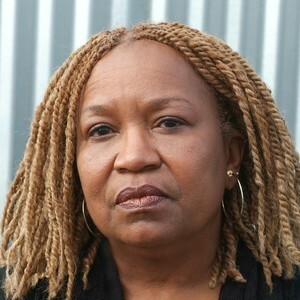 Barbara McCullough, director, production manager and visual effects artist, cites experimental film as her first love, always striving to “tap the spirit and richness of her community by exposing its magic, touching its textures, trampling old stereotypes, and revealing untold stories of African American life.” Her work is screened internationally, and includes Water Ritual #1: An Urban Rite of Purification (1979), Shopping Bag Spirits and Freeway Fetishes: Reflections on Ritual Space (1980), and World Saxophone Quartet (1980). From 2003-2010, she served as Manager of Recruitment at Rhythm & Hues, one of the world’s leading producers of visual effects and animation for motion pictures. McCullough is Chair and Professor of visual effects at the Savannah College of Art and Design.